Chuck McMinn, a Silicon Valley entrepreneur who had previously worked for IBM and Intel and founded Covad Communications in 1996, attended Auction Napa Valley for the first time in June of 1999. A wine lover, McMinn was quickly enamored of the area and its denizens. He and his wife Anne decided they wanted to buy a weekend house there (they were living in Los Altos at the time). By coincidence, McMinn purchased a six-liter bottle of the 1997 Vineyard 29 wine in late ’99 and barely a couple months later heard that the property, located in the western hills of Napa Valley just north of St. Helena, might be for sale. In the space of two weeks, he decided to buy it and to get into the wine business, liking the idea that it was another startup, though not one in the high-tech field. 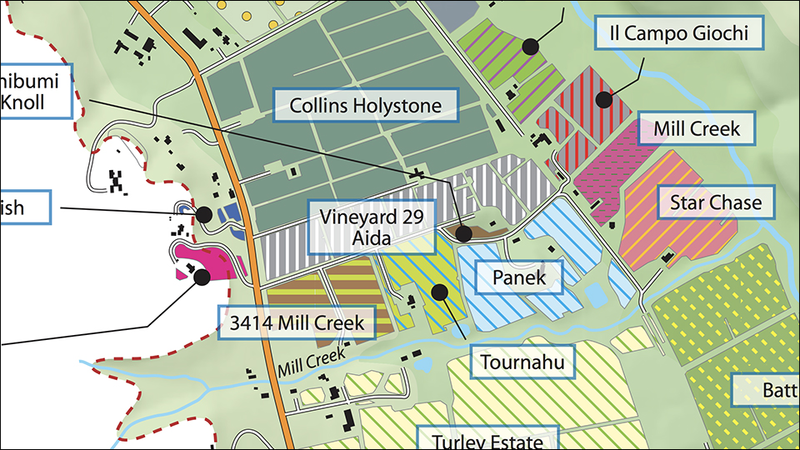 Later on in 2000, McMinn also acquired the historic Aida vineyard, a bit to the north of Vineyard 29. Vineyard 29 had been established by Tom Paine and Teresa Norton, who purchased the property in 1989 and hired vineyard manager David Abreu to plant a three-acre vineyard, using vine cuttings from Grace Family Vineyards, located just a couple hundred yards to the north. McMinn then planted 1.25 acres of Cabernet Franc a bit higher on the hillside, as well as half an acre of Sauvignon Blanc. Some of the young Cabernet Franc went into the estate’s flagship blend during the mid-‘00s but since then has been bottled on its own (under Vineyard 29’s Cru label). In 2008, McMinn bought his neighbor’s property to the south, which featured seven acres of Cabernet Sauvignon and Cabernet Franc planted in 1997, also to the Grace clone (actually Clone 7). Heidi Peterson Barrett made Vineyard 29’s 1994 through 1998 vintages in the tiny Grace cellar, and Tom Paine brought in consulting enologist Philippe Melka to vinify the 1999 vintage at Miner Family Vineyards in Oakville. One of McMinn’s first decisions was to keep Melka on to make his wines. From McMinn’s first release (the 2000 vintage in 2000), Vineyard 29 attracted highly positive press and a loyal consumer following. 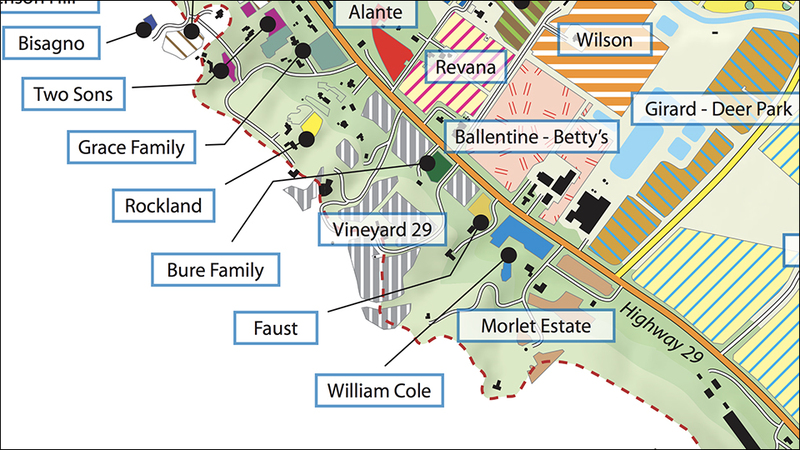 The 29 Estate vineyard is situated on the east-facing hillside at the base of the Mayacamas range, a couple miles north of St. Helena and just above Highway 29. The soil here is clay loam with gravel deposits, deeper at the bottom of the slope and shallower and rockier toward the top (the Sauvignon Blanc is planted in the rockiest spot, followed by the Cabernet Franc and then Cabernet Sauvignon). The slope and soil content ensure good drainage, while the rocks and gravel allow the roots to penetrate deep, ensuring more stable vines and more consistent ripeness. Average yields here for Cabernet Sauvignon are a moderate 2.8 to 3.2 tons per acre, held down by the vine stress associated with steep vines. Vineyard 29 is located in the narrow hourglass part of Napa Valley and benefits from consistently good air flow. 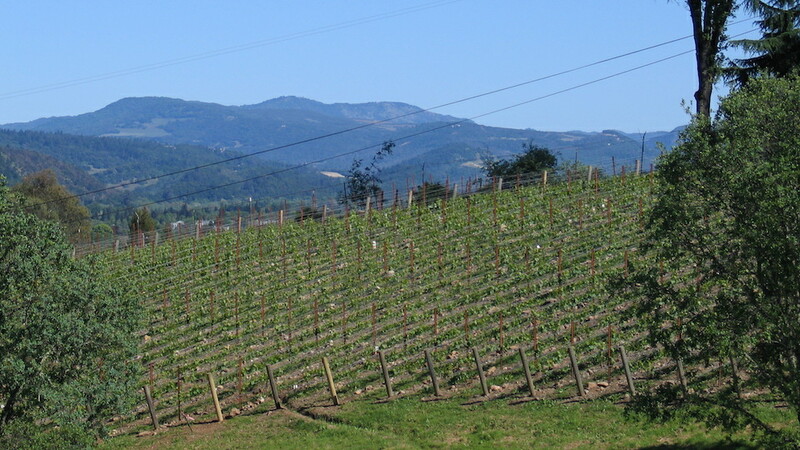 Even in 2008, there was just a touch of frost at the bottom of the vineyard, according to McMinn, who noted that his Aida vineyard just two miles to the north is typically six or seven degrees warmer. The site also benefits from its eastern exposure, capturing early morning sunlight but with the mountain above protecting the vines against the most intense afternoon sun. The result is slow, consistent ripening of the grapes and healthy sugar levels with much less risk of desiccation, which in turn means rounder, more integrated tannins. Although St. Helena is a very warm region, day-night temperature variation at Vineyard 29 is among the widest in Napa Valley, according to McMinn. Three tunnels cut into the hillside provide ideal temperature and humidity for barrel aging. In the early years, McMinn offered custom-crush services for a few nearby producers as well as some of Melka’s other consulting clients (although he always made a point not to bring others’ barrels into his winery for fear of importing brettanomyces) but there’s no longer any excess space as his annual production of estate wines (including Aida) has risen to the range of 4,000 to 5,000 cases while production of his less-expensive wines bottled under the Cru label is now between 6,000 and 7,000 cases. Keith Emerson began here as winemaker in 2005, with Melka continuing in a consulting role. Beginning with the harvest of ’18, Emerson will be on his own, as Melka, a quiet dynamo who is one of Napa Valley’s most in-demand consultants, is no longer be involved at Vineyard 29. 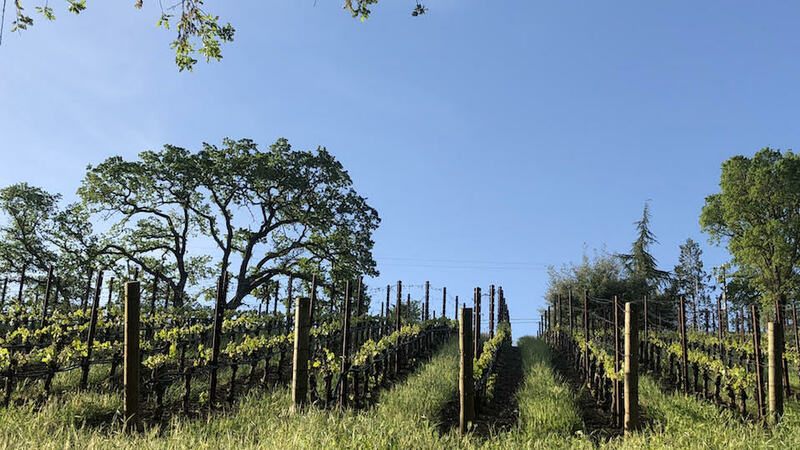 Thanks to Vineyard 29’s well-aerated site and protection from the hottest afternoon sun, the estate Cabernet always has sound acidity; it has never been acidified, according to winemaker Emerson. The pH of the Vineyard 29 estate wine is typically between 3.75 and 3.9, and alcohol levels are moderate by Napa Valley standards, almost always in the high 14s (with 2009 the only vintage to have exceeded 15%). The wines are frequently characterized by black and blue fruits—cassis, blackberry, blueberry—and notes of chocolate, licorice and spices. Compared to the Grace Family Vineyards wine, made from a vineyard barely 200 yards to the north from the same plant material, the Vineyard 29 wine is characteristically a bit less floral and delicate but riper and denser, combining power with typically plush, ripe tannins. Emerson noted that Vineyard 29 is typically harvested at least a week later than the Grace site, noting that the tannins “take a long time to lose their chalky character and come around.” Luckily, he added, “the fruit here can hang for a long time without getting too crazy with sugar.” And the estate routinely picks in two passes, typically seven to ten days apart. Through vintage 2003, the wine was 100% Cabernet Sauvignon, but the ’04, ’05 and ‘06 vintages included small quantities of Cabernet Franc. After the decision was made that the estate Cabernet Franc was of sufficiently high quality to be bottled on its own, the next several vintages included a touch of Petit Verdot from Aida Vineyard—“to provide a bit more color and structure,” according to Emerson. The 2013, 2014 and 2015 were made without Petit Verdot but a bit of old-vines Merlot from Aida was blended with the Cabernet Sauvignon in ’13 and ’14. Winemaking techniques have remained essentially unchanged since the new winery was constructed, with the estate carrying out a long maceration lasting from 30 to 36 days, including a pre-fermentation cold soak of 3 to 5 days and 7 to 10 days of post-fermentation maceration. While some lots can be inoculated, most of the wine is made with native yeasts. The percentage of new oak has come down slowly from 100% in the early ‘00s to 85% today. 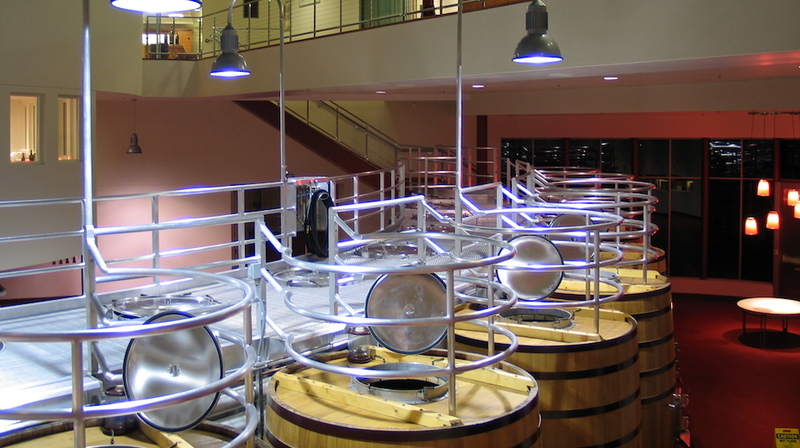 The wine is typically racked three times: once after the malolactic fermentation, again in July and a third time prior to assemblage and bottling, which takes place during the second June, never fined but occasionally filtered. In some years an extra racking may be done during the second December. 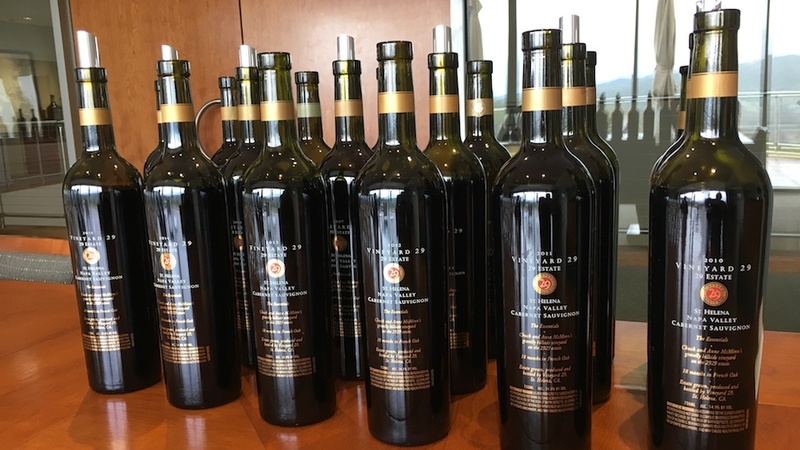 My vertical tasting began with three vintages from the ‘90s, of which two were tiring (McMinn noted that prior to his purchase of Vineyard 29 these bottles were kept in the home of the previous owner rather in properly temperature-controlled storage). But the vintages made in the new winery were all full of life if not downright young, and all indications are that they will enjoy lifespans of 20 to 30 years depending on the vintage.